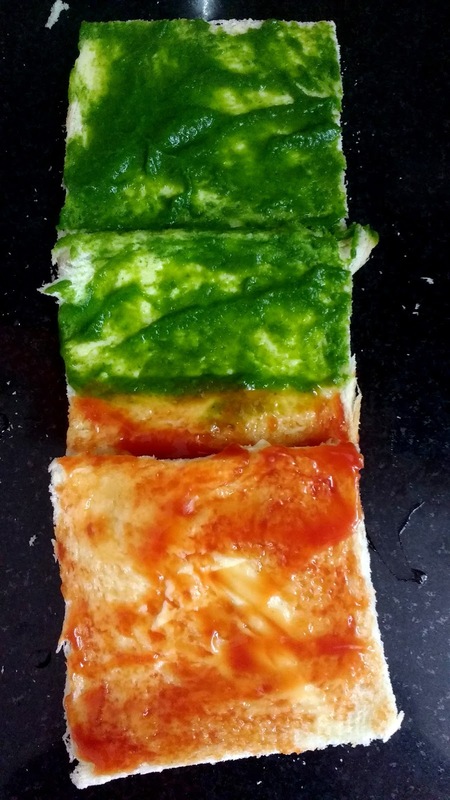 Pinwheel Sandwiches are cold sandwiches where bread slices applied with chutneys/ketchup are rolled together and cut into pieces to give bite size pieces (resembling a 'pinwheel'). These sandwiches are very much liked by kids. As Children's day is approaching, this post is especially dedicated to all the kids. Children's day 👶 is celebrated every year on 14th of November in the fond remembrance of our late first Prime Minister Pandit Jawahar Lal Nehru. While writing this post, all the scenes from my school's Children's day celebration is flashing across my mind. This was the only day when we were allowed in our casual clothes in school and treated with all the Samosas, chocolates or ladoos. The teachers' used to prepare small skits (where they enacted our day to day silly questions and habits). Oh God!! We used to laugh so much, literally rolling on the floor 😝. 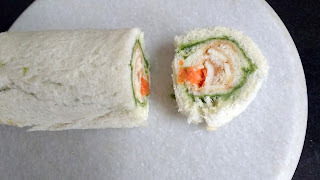 Pinwheel sandwiches are quite easy and quick to make. These were also given to me by my mother in tiffin box during my school days. Some days pinwheel, some days smiling faces or tricolour sandwiches used to wait for me in my tiffin box so that I could eat them (as said by my mommy dearest ;) ). 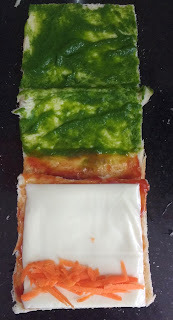 These sandwiches are not only tasty but their colours make them so irresistible that kids are automatically attracted to them. 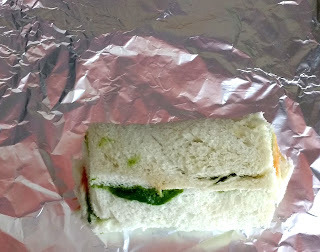 I have used coriander chutney, tomato ketchup, butter, cheese slices and carrots in making these sandwiches. You can also use Fruit Jam, marmalade, mustard sauce, mayonnaise or even hung curd on them . Instead of carrots, you may use cabbage or capsicum or any other veggies of your choice. Please use fresh bread slices for this as we have to roll the bread later on. 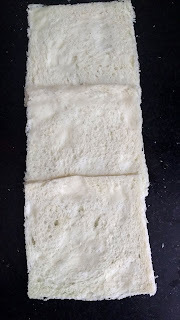 The bread slices become crumbly and hard when stale, so you would find it difficult to roll. Also, the trick is to brush some water on slices before applying butter and sauces to the slices or on your palms while rolling the bread. The main point is to moisten the bread a little so that it can be rolled easily without being sticky or soggy. The recipe is perfect for your kitty party or birthday parties as you can do all the preparation well in advance. Just cut the pieces when you are actually about to serve it. Hope you all would like these Pinwheel Sandwiches!! For coriander chutney recipe, click here. Take 3 slices and chop off their edges. Brush the slices lightly with some water. You can also wet you hands and slightly pat them over the bread slices. Place the bread slices on a flat surface such that one slice is slightly overlapping the other (as you can also see below). Roll the bread slices using rolling pin. 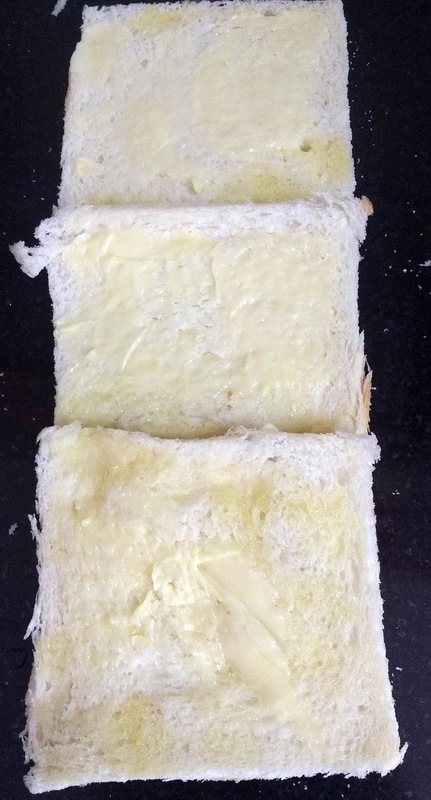 Apply softened butter generously on all 3 slices. Apply Coriander chutney on one & half slice and tomato ketchup on the remaining one & half slice. Place a cheese slice on one end. Keep grated carrot over it. 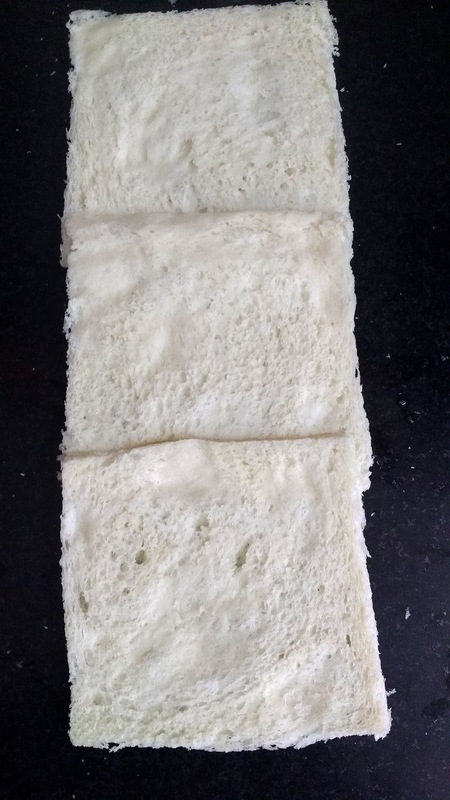 Start rolling the bread carefully from one edges. 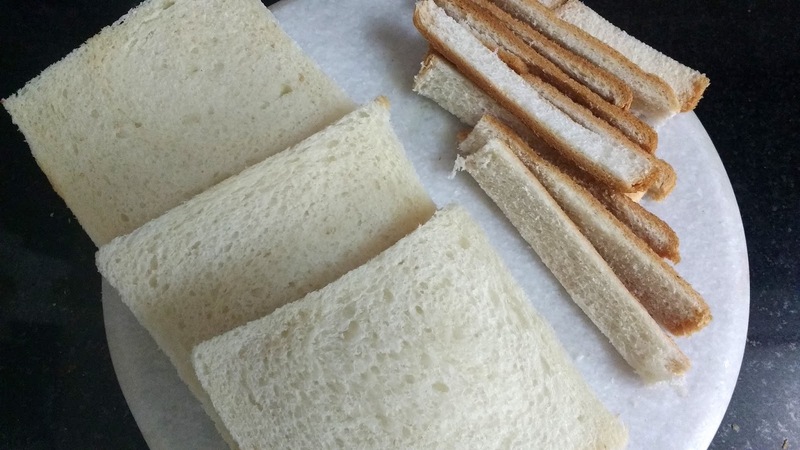 Make sure you keep the support of thumbs on the bottom of the bread slices while rolling it. Roll this bread roll inside a foil paper tightly and refrigerate for minimum 15-20 minutes.The reason for refrigeration is to harden up the butter. This will help stick the bread better and make the roll tighter. Bring the bread roll out of the fridge when you are about to serve. 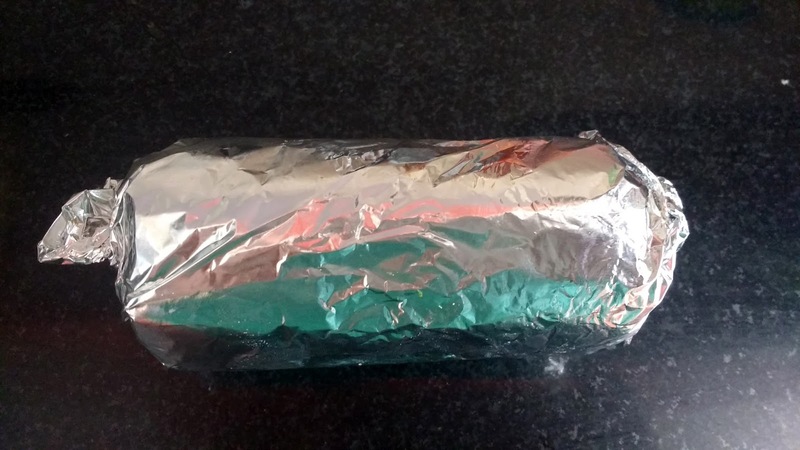 Unwrap the foil carefully. With a sharp knife cut half inch thick pieces of the roll.